I love libraries; I always have. I have wanted to be a librarian since I was a small child. I loved going with our babysitter to the branch library near her house after school. I remember getting a book with a cassette tape that I would play at home in my little cassette player. I loved reading and quiet corners and creating tall stacks of books to take home. 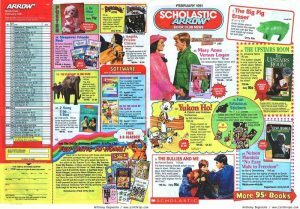 I remember poring over Scholastic book forms and circling all the books that I wanted. That was one of my favorite times of year at school. I wanted them all. 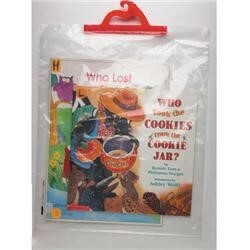 But my mom only let my twin sister and I choose one or two when the Scholastic book forms were handed out. In elementary school, we watched films and were taught by our school librarians how to use the space. 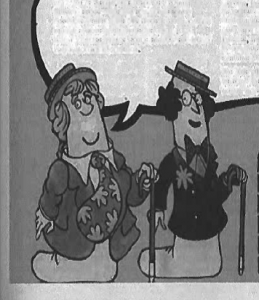 In the films there were two bookworms, Li and Barry. The films covered how to use a library, how to use reference materials, and how to do research. After we watched the films, we were let loose to grab books and curled up on benches to read. In junior high, we were allowed to work in different departments of the school and I worked in our school library during my free period, checking out books to my classmates. I enjoyed helping my classmates find books and practiced my customer service skills fielding questions from my peers. That experience set me on a journey to explore librarianship as my career of choice. In high school, I worked in the public library near my school and I often got lost in the stacks because I kept looking at all the books that I was supposed to be shelving. I liked to hang out at the librarians' desks and pepper them with questions about how they got to be librarians. A couple of them had come to librarianship as a second career, the first being teachers. So, the most common refrain was “become a teacher or get an undergraduate degree in anything and then get your master’s in Library Sciences.” Most of my aunts had been teachers or worked in education and while I enjoyed visiting their classrooms with them, I knew that I didn’t want to be a teacher. I loved going to the school library. I wanted to help kids read and learn about new books. Also, I was and am short and didn’t want to teach anyone taller than me. I really wanted to help people and almost became a social worker, but I changed course and got a degree in Global Studies instead. During my undergraduate years, I got a job at a bookstore. I worked there part-time and I went to school full-time and earned my Master’s degree in Library Sciences. To gain experience in a library setting, I volunteered at a local elementary school with one of my favorite school librarians. Later, I got a job as a librarian in Boston! I have worked as a librarian for ten years now and still love libraries. When I go on vacation, I like to visit the local libraries. I enjoy reading about other librarians and the awesome programs happening all over the country and creating programs here for the people of Boston. My home is filled with books, my holds list is often pushed to the limit, and I enjoy reading and using library materials and digital apps almost every day.